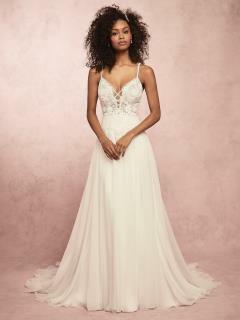 Delicate Chiffon Wedding Gown with a Sweetheart Bodice. Diamanté Beading and Three-Dimensional Floral Embroidery Trim The Illusion Neckline and Cap Sleeves. Shown in Ivory.